It is ten minutes before four o’clock in the morning Monday this week. I have spent more than three hours in a very comfortable, but completely full Swiss aircraft from Geneva to Moscow Domodedovo Airport. I could not sleep, still feeling the jetlag and time difference from two weeks in Sao Paulo, so I was working on my computer and could prepare my planned key note speech for the Danish National YMCA Assembly a few days later. The passport control at the airport has improved dramatically. I remember vividly ten years ago when the queue could be more than one hour long and fifty meters broad. In less than twenty minutes I was through and walked into the arrival hall and started looking for Dr Michail Guskov, Misha among friends, my very close friend and colleague from the YMCA. I worked together with Misha in YMCA Europe since 1st of September 1995. We have traveled to many corners of the old Empire, the former USSR. January 1st, in the year 2000 we celebrated the new millennium by traveling through Siberia on the Trans Siberian Railroad in 51 degrees minus. Now we were going to spend the night, or the few hours left of the night, in a double room in the monastery of Sergei Pasat, quite a while outside Moscow. Sergei Pasat is the heart of Orthodoxy in Russia, St Sergei was the founder of the monastery and the most celebrated saint in Russian Church history. Misha comes running through the arrival hall and after a real bear hug, Misha smiles and tells me that we will have the best of drivers this night, a friend of him, Valentin Kulyapin, will be our driver. 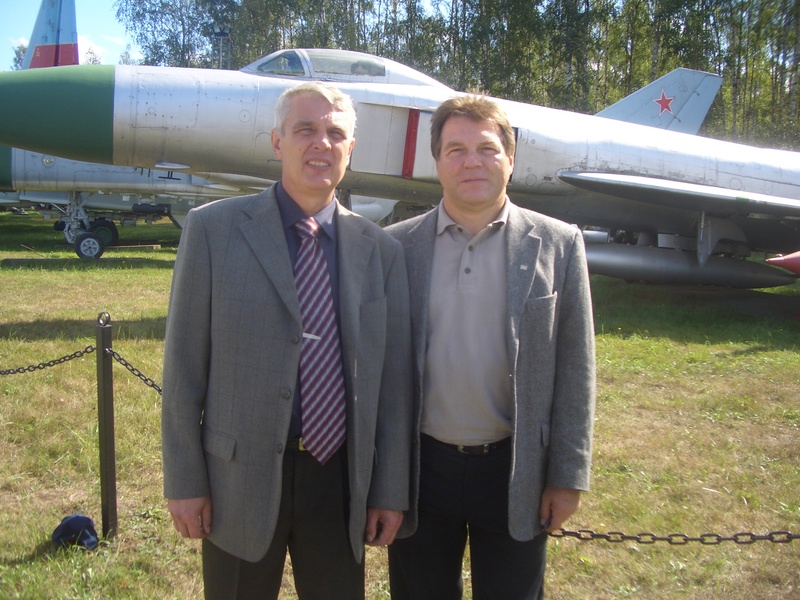 As most of Misha’s old friends, Valentin is also a high ranking military officer in retirement, a full colonel of the Air Force of the Red Army. And as we head for the famous ring road around Moscow, for the first time I experience that it is possible to make some real progress on this ring road, since it is in the middle of night, normally the ring road is very full of very slowly moving cars. We start talking. On July 18, 1981 the State border of the USSR on the territory of Armenia was violated by the transport plane CL-44 Argentine airlines with Swiss crew, carrying a batch of weapons to Iran. The violator of the border was transport aircraft type CL-44, owned by Argentine company and chartered to secretly transporting arms from Israel to Iran. On the interception from the airport Sandar (Georgia) two pairs of fighters su-15TM took off. Not finding purpose and having spent all of fuel, they returned to base. Then the goal has been identified by pilot of the same regiment of the guard captain Kulyapin Valentin . He was given the task of taking down a violator on our territory. Finding the intruder at an altitude of 11000 m, he came close with him and went parallel course. Valentin began to show to offender signs to follow him. He did not react and continued to fly in the direction of the border. Then the command has been given that the offender should be knocked out. 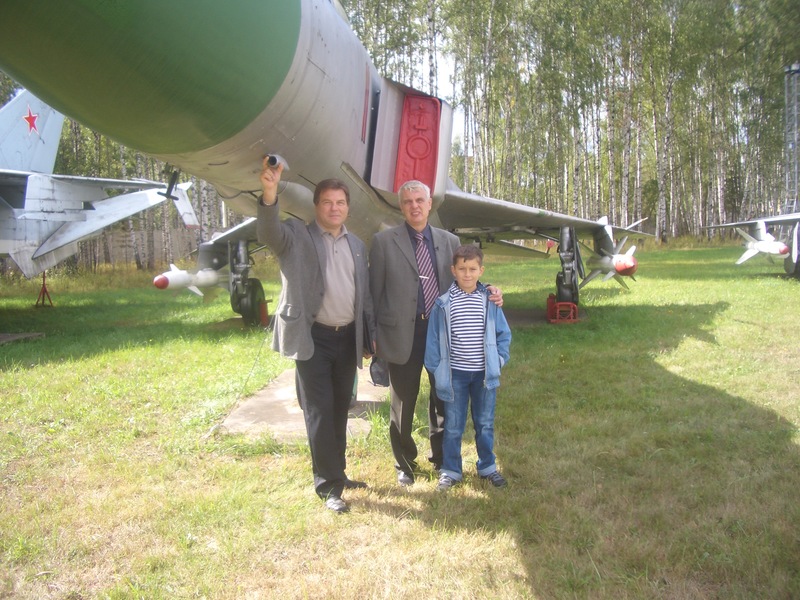 Su-15TM of Valentin was armed only with 2 missiles of distant radius of action (the R-98m). For their start-up the distance has been inadequate, and there was not enough time to make a new entry for the attack since the offender was approaching the border. Then Valentin decided to make the ram attack. He came close with the plane of the abuser and at the second attempt, hit the fuselage on the right stabilizer. After this Valentin catapulted, and CL-44 went into a tailspin and crashed 2 km from the border. The crew was killed. Captain Kulyapin was presented to the rank of Hero of the Soviet Union. But because of some political reasons he was awarded only by the order of Red Banner. (No 3 on the rating of the Soviet decorations). I shake hands with Valentin and thank him for a safe delivery to the monastery in Sergei Pasat. He is around my age and looks strong. As far as history tells, he is the only pilot surviving an attack where the weapon used was his own aircraft, being rammed into the enemy aircraft, and then ejecting from his own destroyed plane and landing in his parachute on USSR territory a few hundred meters away from the border. Valentin is not flying any longer, he is driving his own Renault Megane, and he is a good driver…. « SAO PAULO, BRAZIL – HARD WORK AND GOOD ATMOSPHERE!